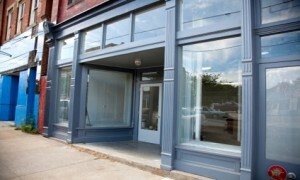 As commercial glaziers we are experienced in the repair and replacement of shop front windows. We can also provide a complete shop front refurbishment service and a range of secure, reinforced and safety glass to meet all health and safety requirements. For more information on shop front repairs please call us free on 020 8644 8502. We can provide 24 hour emergency glass repair for shops, retail outlets and other business premises including car showrooms, public transport shelters, offices and kiosk windows. If your business has been subjected to vandalism, ram-raid or a break-in we can assist with emergency boarding up, 24 hour glazing repairs and also additional locks, security and enhanced anti-theft, unauthorised entry or intruder entry systems. We will be pleased to advise on window and door entry security and locks. We will be delighted to help. If you need emergency commercial glaziers in Surrey, Sussex, Kent and South London, please call us on 020 8644 8502. We can help you now.